Motivated Seller! 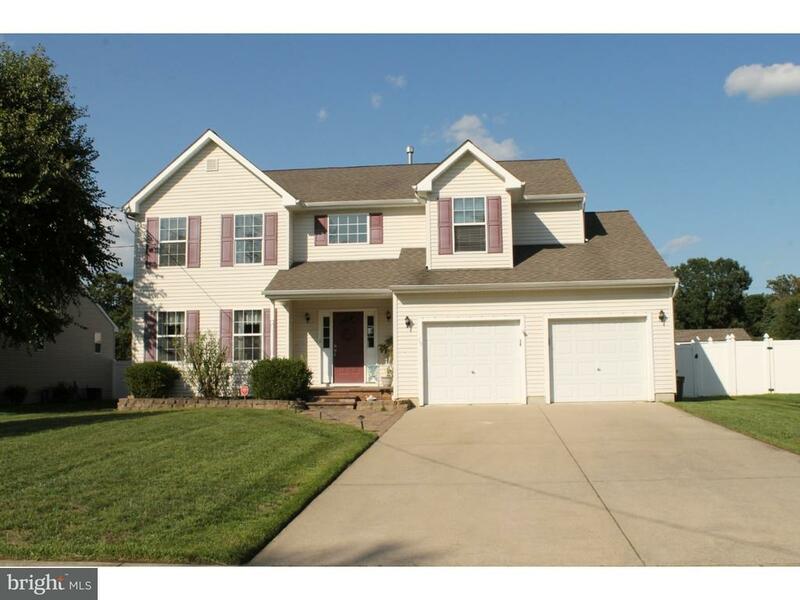 Two story 4 bedroom 3 full bath Colonial home in Berlin Boro for sale! This home offers a 2 story foyer with a large stationary window, hard wood floors, oak stair railing and pendant lighting. The open floor plan is great for entertaining. The Kitchen breakfast area and great room are open to make watching everyone easy. The kitchen island is equip with electric great for the blenders and mixers. There is plenty of cabinet space, dishwasher, built in range, and built in Refrigerator and pantry. Off of the kitchen you have a breakfast area with sliding doors that lead out to the EP Henry patio. The formal dining room is the perfect place for those holiday dinners. The formal living room could be a mixed use room as it has French doors, a closet and entrance to a full bath room Possibly a 5th bedroom. The master bedroom offers a sitting area, walk in closet and a master bath with soaking tub and stall shower. There are two extra rooms with new carpet and the fourth with a vinyl floor that looks like hardwood. The basement has poured concrete walls and is a blank slate to become whatever you are looking to do with the area. The new HVAC will keep your mind at ease. The back yard has the patio with bench seats built in around the patio. The nice size shed is great for your lawn equipment or patio furniture. This home is in the Eastern school district.